Bassmaster Elite Pro Aaron Martens talks about the new 140 World Challenge Lure from Megabass. For more than a decade now, Megabass USA has been importing product from Megabass Japan for distribution within the United States. Lures found their way into retail locations relatively easily and just this year, rods have become more readily available. Though their presence has been felt and seen, we’ve never seen the Japanese manufacturing icon at ICAST. The question we’ve heard quite often and never really had an answer for is why not? 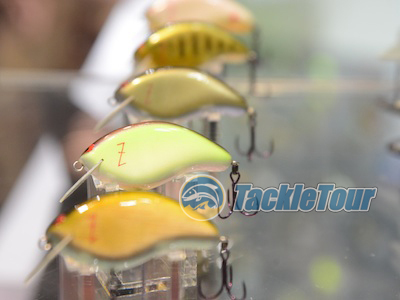 Take a closer look, for we haven’t seen them at ICAST before. Well, 2012 marks the year Megabass Japan has taken on a new perspective, and this vision involves a more prominent presence here in North America. Their intent? More pervasive product distribution, better information regarding the design, intended application, and availability of product, and a subset of product that is actually tailored for the US market. That’s right, Megabass is finally stepping out from behind the cultural mystique that defines their products’ allure and they started it all by a show of force here at ICAST 2012. None other than the company’s CEO himself, Yuki Ito, was on hand to show us what he has planned for the US market. Sunline SX1 was designed by Aaron Martens and Brent Ehrler, two masters of finesse fishing at the top levels of professional bass fishing. The line was designed for more under the surface applications where light, manageable but extremely strong and sensitive lines were paramount at smaller diameters. The new SX1 has no coating that will wear off and fade the line. It won’t fuzz like traditional floating braid. It will be offered in 10,12, 16, 20, 30, 40 and 50-pound options with a dark green tint. Megabass, long known for producing quality rods and reels, is expanding their American line. With names like Fast Moving Special, Extreme Mission Type F and Flapping Shaft, these rods are set to open new horizons for bass anglers. There are 13 in all, each made with 30 ton super-low resin carbon material impressed into the shaft. Additional manufacturing processes increase sensitivity and give the rod additional twist rigidity. 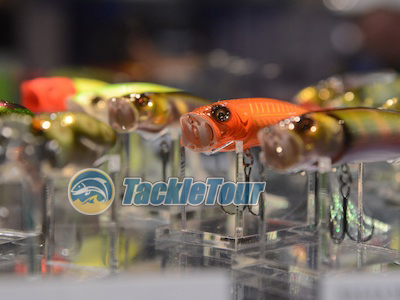 One of our favorite tackle manufacturers out of Japan is Megabass. This year we’ve some very interesting and innovative designs from them. We don’t use the “i” words loosely. We think those words get overused by folks just making their versions of baits that already exist. But it’s not the case from what we’ve seen coming down the pike from Megabass. The first bait that wowed us this year was the Vision 110 FX. They really changed the jerkbait market with their weight-transfer jerkbait the Ito Vision 110. The new 110 FX has a lip that actually collapses and makes the bait even more aerodynamic on a cast allowing for greater distance and opened up applications. The lip then jumps back into place on a the jerk. Very cool and a lot of thought and engineering went into this design.